As a child growing up in Beijing, China, Bijun experienced traditional art forms such as shadow plays, sugar people, and paper cutting, which were popular and spiritual arts. After a few years studying abroad, Bijun found that such cultural treasures could no longer be found in public or during major festivals; everything seemed to be replaced by forms of digital entertainment like cell phones, TVs, and tablets. As traditional art forms in Beijing are part of Bijun’s childhood, it would be such a pity to see those intangible cultural practices vanish. For this thesis project, Bijun used field research to interview and understand the current landscape for one living master artisan in China who still practices an art form at the brink of extinction. 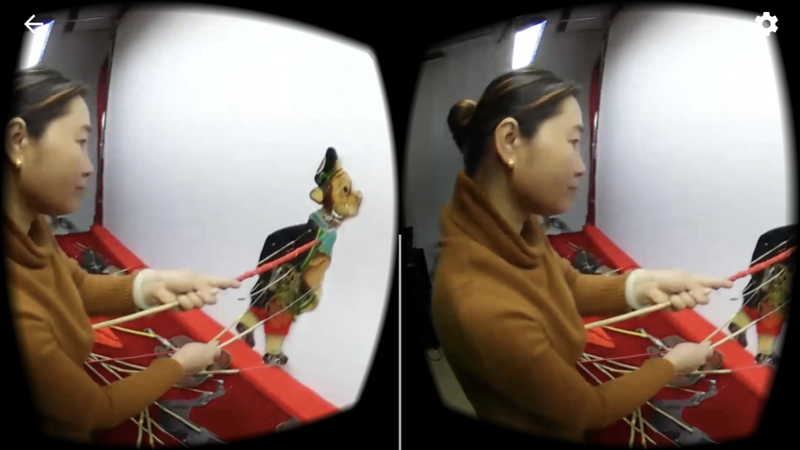 To retell the artisan’s story, Bijun produced an immersive 360 documentary short that recreates a viewer’s experience of these forms from an observer’s perspective, as a way of preserving these important traditional arts. Bijun Chen is a multimedia designer, and a Master’s of Design candidate in the Digital Futures program at OCAD University. She received her Bachelor of Science degree in Digital Arts from the University of Oregon, and her Associate degree in Computer Science from Cascade College. With her background in film and video production, her current research focuses on art and cultural preservation using immersive storytelling.